On Oct. 27, the National Center for Traditional Arts (NCFTA) played host to the "2018 Donation Ceremony for Valuable Musical Items" and "International Forum for 2018 World Day for Audiovisual Heritage." 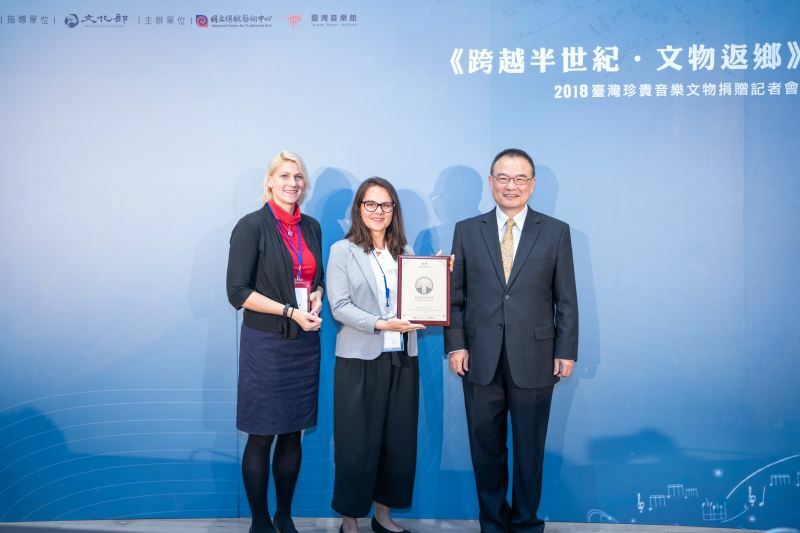 Donors including Mariana Muenning (穆瑪麗), representing Germany's East Asia Institute (Ostasieninstitut), and professor Chien Shan-hua (錢善華), representing the Department of Music at National Taiwan Normal University, were also present to receive certificates of appreciation from Deputy Minister of Culture Hsiao Tsung-huang (蕭宗煌). 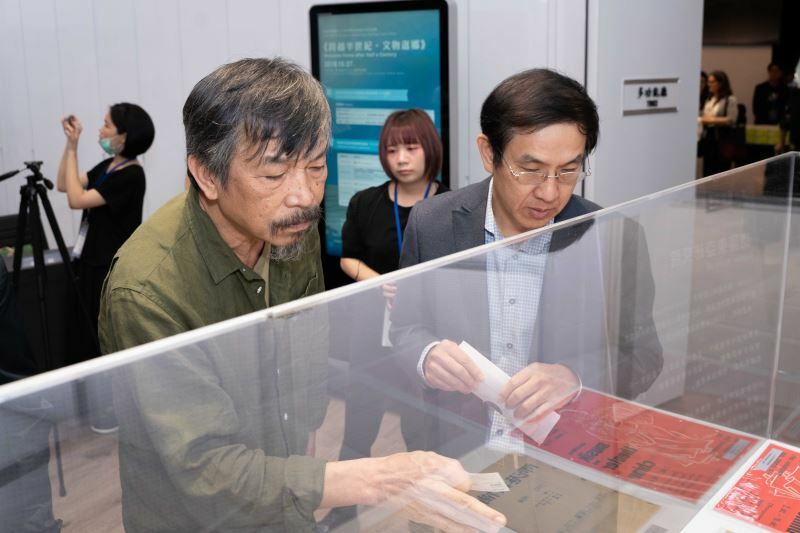 And the first international, interdisciplinary donation — the first batch of Taiwanese musical and theatrical relics to be returned home from the "Taiwan Archives" at Germany's East Asia Institute (Ostasieninstitut). Deputy Minister Hsiao paid special tribute to Father Alois Osterwalder of the East Asia Institute, for the collection has been under the institute's care for over five decades. 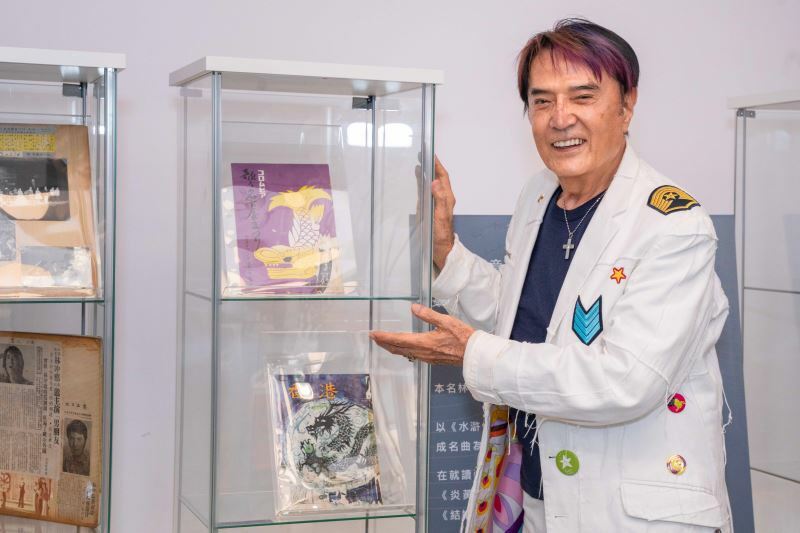 The institute had collected manuscripts, scores, records, programs, and instruments from Taiwanese musicians who promoted Taiwanese music and culture abroad. Among the most precious of the 500-plus items are the earliest manuscript of "The Sacrifice to God" by composer Lee Tai-hsiang (李泰祥), the last remaining cyanotype of Ma Shui-long's (馬水龍) "A Sketch Of The Rainy Harbor for Piano," and costumes by theater master Yu Ta-kang (俞大綱). The addition of these to the collection at the National Center for Traditional Arts is only the beginning. The gracious donations will be put to good use as part of the already 44,000-piece-strong collection of the NCFTA-affiliated Taiwan Music Institute, and will undoubtedly become invaluable assets for future research. 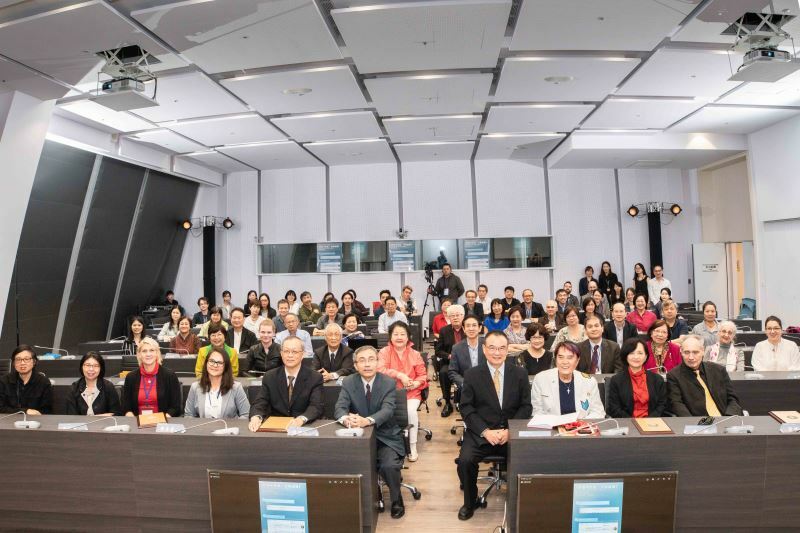 After the donation ceremony, an international forum was held to mark World Day for Audiovisual Heritage, which was declared to be Oct. 27 by UNESCO in 2005. 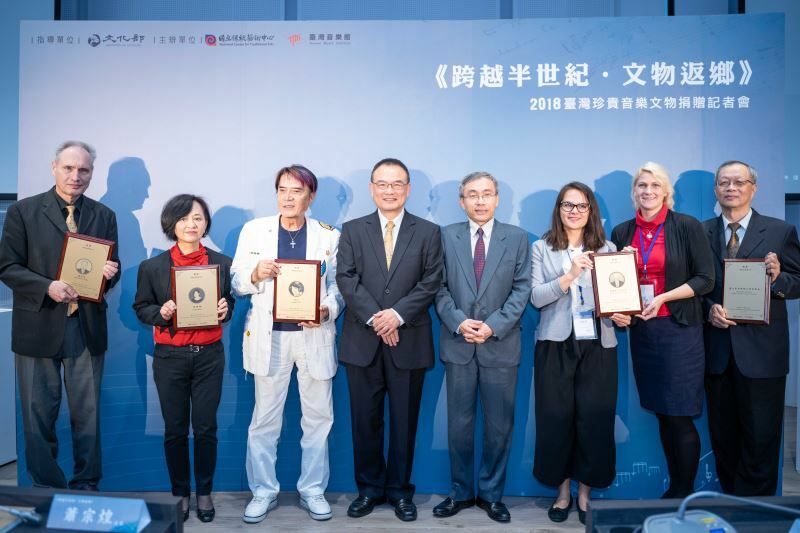 Last year, the Taiwan Music Institute took part in this international event for the first time, hosting talks and exhibitions that were listed on the day's official website. This year, in addition to such international links, the scope was expanded to include substantial international forums featuring speakers such as Michael Mason, director of the Smithsonian Center for Folklife and Cultural Heritage, who shared his experience with scholars from Taiwanese cultural organizations and members of the general public. In addition, the result of several years of study of paper-based musical documents was launched at the event as "Guidelines for Paper-based Archive Processing and Preservation of Music," alongside the translation of "Folklife and Fieldwork: An Introduction to Field Techniques," licensed by the American Library of Congress. It is hoped that these two books will become invaluable tools for Taiwanese organizations and individuals interested in the field by providing a standardized framework for the documentation of music heritage. Representatives of Germany's East Asia Institute (Ostasieninstitut). Lee Tai-kang, brother of the late musician Lee Tai-hsiang. Pop and film star Lin Chong. Visitors Today:177. All Time Visitors:1,229,984.